Massively multiplayer world created by one-person team rewards more than one million players with new Prophecy of Bane quest series. Vancouver, BC -- May 18, 2010 -- Maid Marian Entertainment Inc., is proud to announce the sixth anniversary of its free browser-based MMO game Sherwood Dungeon (www.sherwooddungeon.com) -- without an ad campaign, a fancy press event or a celebrity endorsement. Instead of celebrating its anniversary, the company's creator has launched the new Sherwood Dungeon: Prophecy of Bane quest series to players. "Sherwood started out as a hobby while I worked in the console games industry and grew organically. It's been a game that's in constant development while it's live," says Maid Marian founder, Gene Endrody. "Originally players came back just to see what I had added and this created an interesting player culture because their feedback affected my choices. It's also a bit of an anti-corporate entity; more like the crazy guy who turned his house into a haunted castle and invited people in to make suggestions." In a massive and expanding MMO space, Sherwood Dungeon stands out from a long list of cookie cutter competitors by creating a high-quality 3-D retail-style game experience that's easy to access for new MMO players with simple controls, runs in any browser and doesn't require a login, monthly fee or signup process. It's the type of formula that might make any seasoned business person cringe but for Maid Marian's one-man team, the result equals a global fan base of more than a million monthly unique visitors without any marketing plan. Sherwood Dungeon also deviates from the tenets of modern MMO games. Combat is based on twitch reaction skills with minimal leveling up required to be potentially competitive with any other player in the game. Relying on 100% melee combat with a mere eight actions (attack, five power moves, tally and block), battles with monsters and players is kept close by not including ranged weapons -- thus giving it more of a Fight Club-style of play where respect is earned, not given. 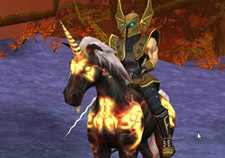 Unlike other MMO games, Sherwood Dungeon allows players to change their avatar and identity and since skill is the motivation here, there are no classes. Socially, Sherwood Dungeon players have also dictated how they communicate, even with 99 rooms that often serve as meeting areas for clans. Such behaviors make for exciting clan vs. clan wars as players merely move to their opposing clan's room to get the battle started. A dominant chat interface also keeps communications flowing between friends and foes and with combat being Sherwood Dungeon's primary goal, none of the chat keystrokes interfere with combat (and yes, there are still control keys for dancing). Sherwood Dungeon grew from an underground secret to global success through basic word of mouth. And those words come in many languages as 29% of the game's players live in Poland, 19% in Brazil, 8% in the United States, 6% in Turkey, 5% in France and 4% in Argentina, worlds away from Maid Marian's humble and suburban Vancouver, Canada headquarters. Sherwood Dungeon's full and free 3-D game experience, including the new Prophecy of Bane quest series can be accessed through the web at www.sherwooddungeon.com or as a Facebook App (http://apps.facebook.com/SherwoodDungeon/). Lacking the need for a gaming PC, a credit card or login, Sherwood Dungeon proves that high-end fantasy gaming doesn't need a box, a download or a monthly subscription fee to deliver high quality gaming for casual MMO players. Vancouver, BC April 27, 2006 - Maid Marian Entertainment, a leading developer of next generation Web based games, today announced the release of Sherwood Dungeon into Open Beta. A free 3D fantasy MMORPG, Sherwood Dungeon runs entirely with a Web browser and features an infinitely deep dungeon filled with monsters and treasure. "The time has come to open up the development process and invite players to see for themselves what we've been working on since the release of Sherwood," said Gene Endrody, president of Maid Marian Entertainment. “This launch expands on what we started in 2005 with the release of the first Sherwood MMORPG, with a faster code base and greatly enhanced feature set. Our intention is to revolutionize the way massively multiplayer games are delivered. Sherwood Dungeon is another milestone in the journey towards that goal, bringing together an online community of like-minded players. Imagine a 3D environment, where you can explore and interact with players around the world – all on a Web page. No retail box to purchase and no cumbersome client software to download and install. Just click a link on our Web site and you’re in. We deliver immersive multiplayer 3D experiences right to your Web browser." A wide variety of weapons, shields, potions, magic rings, etc. Maid Marian Entertainment is a leading developer of next generation Web based interactive entertainment, specializing in community oriented multiplayer games. Based in Vancouver, BC, Maid Marian produces 3D Web-games for direct to consumer digital distribution. Maid Marian's gaming portal at http://www.maidmarian.com features a variety of Web based games including Marian's World, Moon Base, Ratinator, Tank Ball and the newly released Sherwood Dungeon. VANCOUVER , BC - July 25, 2005 – Maid Marian Entertainment, a leading developer of next generation web based games, today announced Tank Ball, the latest in a series of free web-based 3D multiplayer games on the MaidMarian.com website. Tank Ball is a free team-based multiplayer 3D action game where hundreds of players come together for fast-paced combat. Light-hearted, simple and fun, Tank Ball is paintball with tanks. These six wheel tanks drive like monster trucks with entertaining, over-the-top physics. Just pick a team and let loose some double barreled mechanized mayhem. It is like firing tennis balls at shoe boxes; lots of silly fun. Taunt your opponents and organize you teammates with the integrated chat. Meet people from around the world; then shoot them. Free, easy, and completely anonymous, Tank Ball delivers a 3D multiplayer experience on a web page, with no client software to install and no sign up required. For more information on Tank Ball or to play the game, please visit: http://www.maidmarian.com/. Maid Marian Entertainment (http://www.maidmarian.com/) is a leading developer of next generation web based games specializing in community oriented multiplayer games. Based in Vancouver , BC , Maid Marian Entertainment produces 3D web-games for gaming portals, corporate customers and direct to consumer digital distribution. 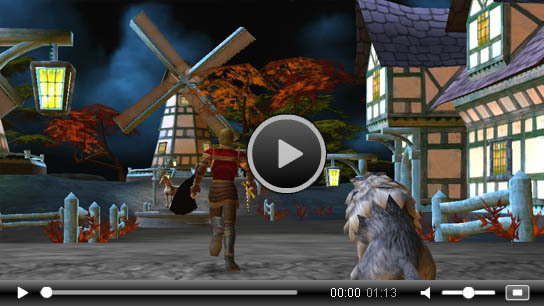 VANCOUVER, BC - October 16, 2004 – Maid Marian Entertainment, a leading developer of next generation web based games, today announced Sherwood, the latest in a series of web based 3D persistent worlds on the MaidMarian.com website. Free, easy, and completely anonymous, Sherwood delivers a 3D multiplayer experience on a web page, with no client software to install and no sign up required. Sherwood is a constantly evolving world as new feature requests come through the community forum. For more information on Sherwood or to play the game, please visit: http://www.maidmarian.com/. Maid Marian Entertainment (http://www.maidmarian.com/) is a leading developer of next generation web based games specializing in community oriented multiplayer games. Based in Vancouver, BC, Maid Marian Entertainment produces 3D web-games for gaming portals, corporate customers and direct to consumer digital distribution.